The Caribbean will continue to be a mainstay of Celebrity Cruises in 2019 and 2020. 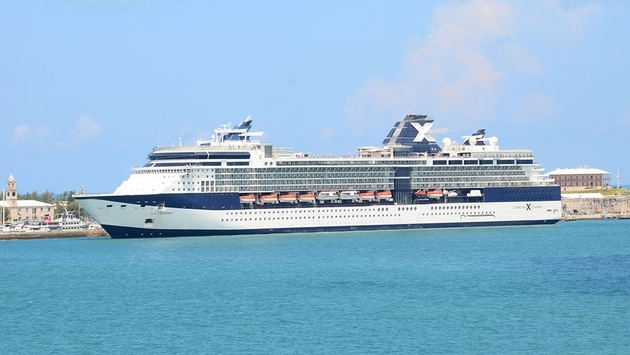 The Celebrity Equinox, Celebrity Infinity, Celebrity Reflection, Celebrity Silhouette, Celebrity Summit and the upcoming Celebrity Edge are all scheduled to be regionally deployed to more than 245 ports at 25 destinations in 19 countries. The new Edge will embark on 7-night Eastern and Western Caribbean routes—also available collectively for a longer combo cruise. Featured stops include Tortola, St. Maarten, Grand Cayman, Key West, etcetera. By the time it sets sail from Ft. Lauderdale, Florida in summer 2019, the Equinox will have received a multi-million-dollar Celebrity Revolution refurbishment. Its destination highlights include Punta Cana, St. Thomas, Grand Cayman and more. Quick getaway sailings will be the Infinity’s forte with four- and five-night voyages from Fort Lauderdale, Florida. Cruises will alternate between either Key West and Cozumel or Key West and Nassau. In the meantime, the award-winning Reflection will offer longer 10- and 11-night Caribbean cruises, offering a diverse selection of destinations such as Antigua, Barbados, St. Lucia, Aruba, Curacao, Costa Rica, Panama, Mexico and beyond. Also extended, will be the Silhouette’s nine- and 12-night Southern Caribbean trips from Fort Lauderdale, Florida. The shorter variety—conveniently away on only five business days—will head to Grand Cayman, Aruba, Bonaire and Curacao. The longer one goes to the Lesser Antilles, St. Lucia, Grenada, Barbados and more. By 2020, the Silhouette will also be receiving Celebrity Revolution refurbishments. Rounding out the half dozen ships will be Summit with its own Celebrity Revolution enhancements. In 2019, it will depart on 10- or 11-night cruises to New England and Bermuda, calling on Portland and Bar Harbor, Maine, plus Boston. A special 11-night sailing will even include an overnight in Boston for the Fourth of July as well as another overnight in Halifax for Canada’s birthday. The Caribbean, of course, will also be featured with 7-night Southern Caribbean cruises roundtrip from San Juan, visiting Aruba, Bonaire and Curacao. There will also be weeklong Bermuda trips as well. The six-ship offering will provide passengers with the widest selection of Celebrity vessels available with the fleet’s trio of main classes represented. One Edge-class, three Solstice-class and two Millennium-class ships will be at the ready, and the Celebrity Revolution refurbishment program will have dramatically reinvigorated three of the older ones. Fans of each will have plenty to gravitate towards. For more information, contact a travel agent, call 1-800-CELEBRITY or visit www.celebritycruises.com/2019-2020-sailings/caribbean-2019-cruises.